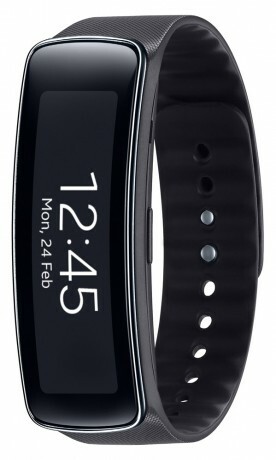 Samsung today announced the Galaxy Gear Fit, a health-focused wearable that offers a simpler experience than the more capable Gear 2 and Gear 2 Neo smartwatches. The Gear Fit has a curved 1.84-inch display with 432 x 128 pixels. The Fit has a number of sensors and can track steps, exercise, heart rate, and sleep. It includes a stopwatch, timer, schedule, relay, and media controller. The plastic strap is changeable, and it is resistant to water and dust thanks to its IP67 rating. It connects to smartphone via Bluetooth 4.0 Low Energy and comes with a 210mAh battery that provides three to four days of battery life. The Fit can keep owners up to date thanks to notifications from Galaxy smartphones, such as incoming calls, emails, text messages, alarms, and other apps. The Gear Fit will be available globally starting from April. Samsung today announced Samsung Health 6.0, a revitalized version of its personal health and fitness app for Samsung phones. Samsung says the app includes a new user interface, new tracking tools, and new personalization features to customize the experience. The original Gear watches were completely redundant and basically toys for people who love gadgets. I found it absurd that the Gear watch saved people from the trouble of having to take their phone out of their pocket in order to read a text message (and honestly anyone interested in the Gear watch is probably someone who had and continued to have their phone glued to their hand anyway) I guess this is why they were a bit of a flop considering many people love cellphones because they free people from the burden of wearing a watch. Based on the fact that this device has a 210mah battery, I doubt that it has an internal GPS system that can handle this.. methinks that it would be too much of a burden on that tiny battery. I couldn't imagine jogging with any Galaxy phone.